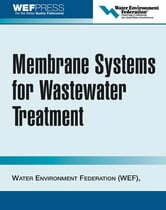 Membrane processes are a fast-growing wastewater treatment option. Written by key experts in the wastewater industry, this reference provides the most current membrane information available -- covering processes, equipment configurations, operation, routine monitoring, maintenance, and troubleshooting -- and includes questions and quizzes for classroom use and training. Quick Start And A Bit More Of BLM Technique.